The story of Atlantis is one of the oldest mysteries in the world. The tale of an entire Kingdom disappearing without any trace, is one of the greatest unsolved mysteries in history. While Atlantis is a widely known tale, most people have never heard of Yamatai (邪馬) before. Turns out Japan has its own version of an Atlantis story, also deeply shrouded in mystery and superstition – namely the aforementioned Yamatai, which is believed to have existed during the Yayoi Period (300BC – 300 AD). This is the single most divisive historical mystery in Japan. It is said to have been the domain of Shaman-Priestess-Queen Himiko, who was a mysterious ruler – even by Japanese standards. According to historical texts, it is thought that she had certain Shamanistic Powers and was well-respected by her people. Gishi no Wajinden described her as a having “occupied herself with magic and sorcery, bewitching the people”. Surrounded by mystery, Queen Himiko was said to have controlled the kingdoms by sorcery and magic. She was elected as ruler after years of warfare amongst ancient Kings in Wa (Japan), and brought peace to the region. Imagine that… a female ruler in Japan!!! It’s almost unthinkable today, where women have an extremely tough time even getting an executive-level job in companies, let alone rule an entire Kingdom. Her Kingdom flourished under her rule though (more proof that Japan is in desperate need of more female heads of state, CEO’s, etc. these days; but I digress…), and numbered an impressive 70,000 households at the height of her reign, in addition to having well-organised laws and taxation systems, and booming trade. Her people were thought to have been a gentle and peace-loving folk, who adored and respected her and her Shamanistic powers. 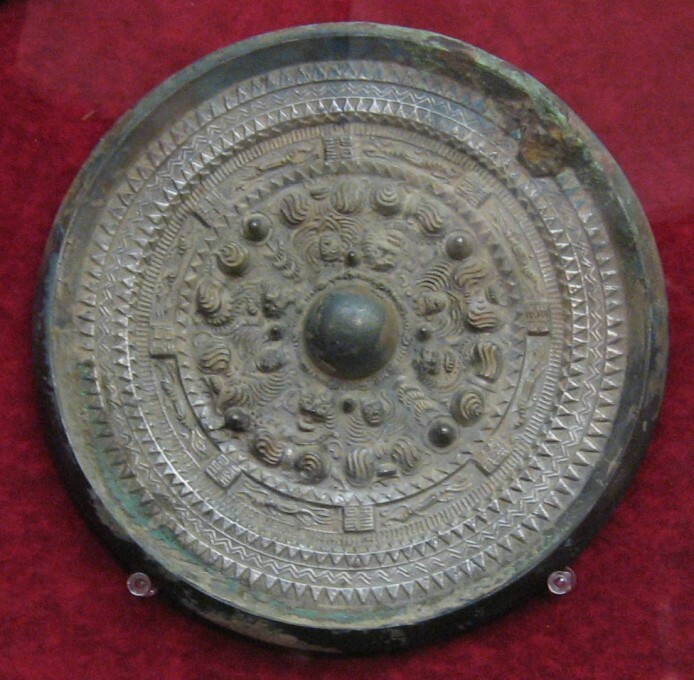 One of her most revered “magical” artefacts was one of several (magic) mirrors, used primarily to conjure up images of mountain wizards and divine beasts for sun-worshipping rituals. In a magic mirror, unevenness on the polished surface—too subtle to be detected by the naked eye—reproduces patterns on the back when light reflects off the front. The mirror, which became known as Himiko’s mirror, was found in the Higashinomiya Tomb in Aichi, Japan. Seems like all that magic can’t make you immortal, however, so when she died, her people constructed a large burial mound, and she was laid to rest there, along with over 100 (!!!!!) of her attendants. In the 2013 video game Tomb Raider, (Warning, spoiler alert!!) Himiko bears the title of Sun Queen and is said to have achieved immortality by transferring her soul to a new body each time the previous one grew old. She is also the distant ancestor of one of Lara Croft’s friends, Sam, who the game’s primary antagonist Mathias plans to offer as a new host to Himiko’s soul after being shipwrecked on the ancient, lost Kingdom. Speaking of her Kingdom, the location of Yamatai-koku is one of the most contentious topics in Japanese History; as is whether Yamatai is related to the later Yamato-race, or the dominant ethnic population of Japan. 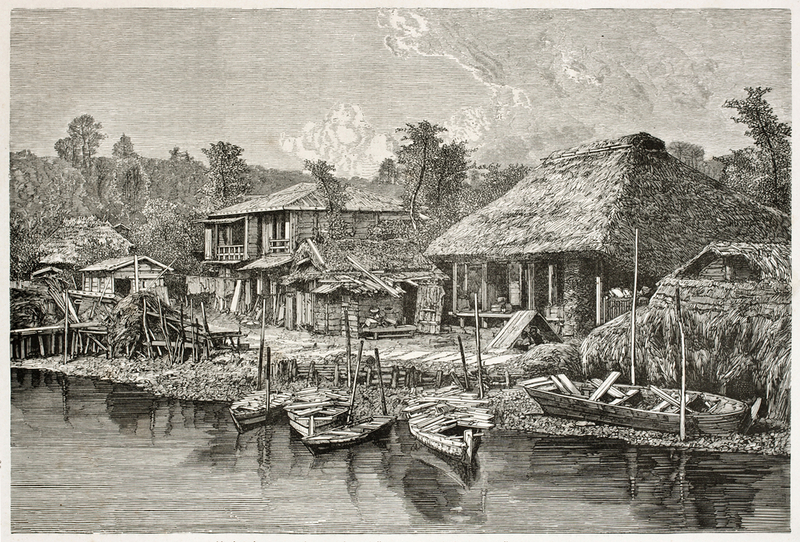 There are numerous possible locations where Yamatai is thought to have been. One is Okinawa; however, general consensus points to two more likely locations of Yamatai: either northern Kyūshū or Yamato Province in the Kinki region of central Honshū. 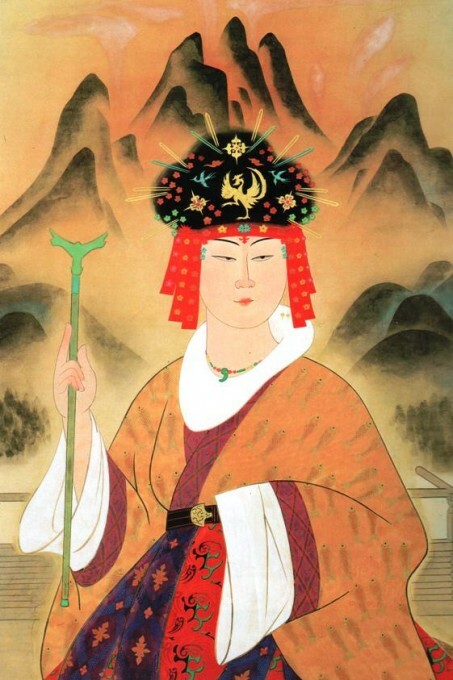 If history, mystery, and magical powers are your forte, I would highly recommend reading up on Japan’s version of Atlantis, complete with a Shaman Queen. Not only is it an interesting story in itself, but also highlights the fact, that women were (and still are) an important part of Japan’s history. Previous articleIs Japanism a Religion?